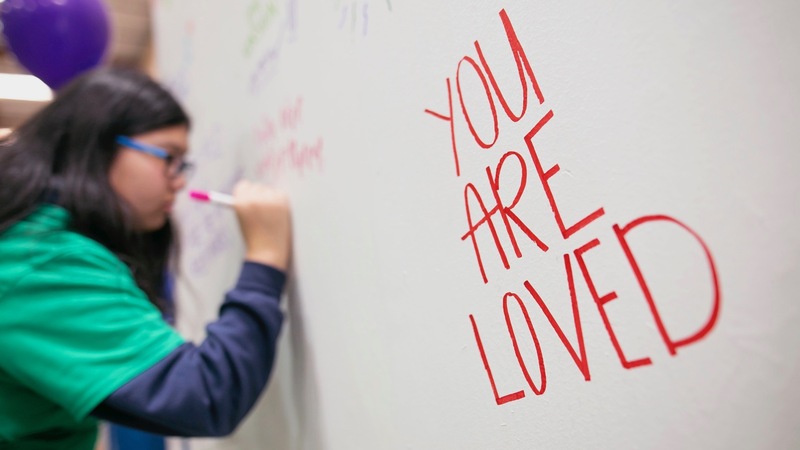 “You are loved.” That was the message on Saturday, April 21, that more than 3,000 Comcast NBCUniversal employees carried with them into homeless shelters, food banks and other service agencies across Washington state as part of the company’s 17th annual Comcast Cares Day. Volunteers also carried that message into local parks as they yanked weeds, repaired picnic tables and spread wood chips in play areas. 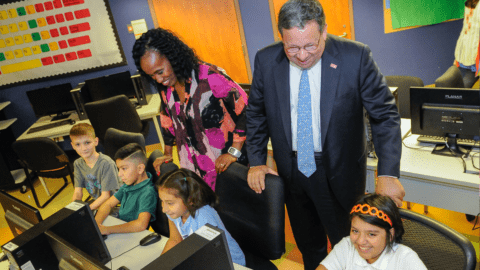 This volunteer work took place in 10 cities at more than 30 different sites in close partnership with dozens of nonprofit partners throughout the state. More than half of this year’s projects in Washington directly supported those living without shelter or who are in transitional housing. 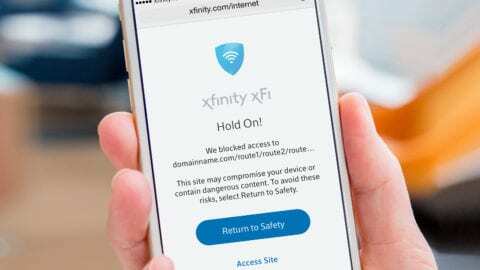 Comcast chose this pressing issue because it impacts nearly every community in the state. According to 2017 figures from the U.S. Department of Housing and Urban Development, King County’s homeless population is the third largest in the U.S. Out of an estimated 11,643 homeless people, 47.1 percent are unsheltered, meaning they live in a vehicle, tent or on the street. This is a 21 percent increase over 2016 figures that is only expected to grow in 2018 due to the rising cost of living. One of those community partners is Mary’s Place, a Seattle non-profit providing emergency food, shelter and resources for homeless women, children and families. In 2016 the organization provided 100,781 overnight stays, and served 222,445 meals to those in need. 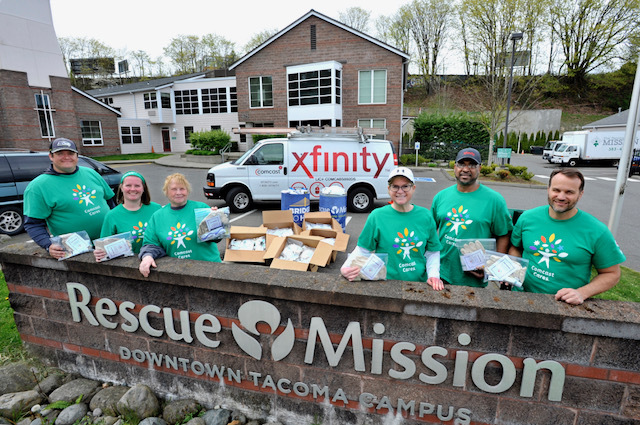 Comcast volunteer work also benefitted the Tacoma Rescue Mission, a nonprofit that provides emergency shelter and a pathway out of poverty for Pierce County’s homeless population. Volunteers assembled then delivered more than 700 essential care and hygiene kits to the mission. “We are so grateful for the donations that come in from businesses like Comcast,” said Duke Paulson, the newly appointed executive director of the Tacoma Rescue Mission, in response to receiving 18 boxes and barrels filled with essential care items such as toothbrushes, toothpaste, razors, shaving cream and soap. “Hygiene items are no small thing for our neighbors experiencing homelessness. They not only provide for a real need, but also are a part of restoring and upholding their dignity as human beings. This is an essential part of the journey out of homelessness,” Paulson said. Central Park Elementary School: More than 450 volunteers worked with Central Park Elementary students and local Eagle Scouts to build a “kinder garden” where young students can grow plants as part of their science curriculum. Volunteers helped with painting, landscaping and other beautification around the campus as a prep for the school’s upcoming Grandparents’ Day event. 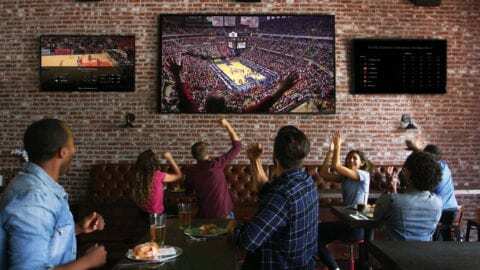 This was Comcast’s largest project in Washington state. Nexus Youth & Families: Volunteers supported local families and youth through a wide array of projects. Volunteers spread bark, cleaned out flower beds and spruced up the outdoor area surrounding the facility. Others cleaned and re-organized several different buildings for future use, including the Arcadia House – a facility designed to support local homeless youth. Volunteers also organized and packaged food, clothing and hygiene packets for the homeless, while other groups helped cook and prepare meals that will later be used to feed the homeless. Finally, a group of volunteers accepted donated food, hygiene products and clothing. Little Squalicum Park: Volunteers worked with the City of Bellingham Parks Department with the restoration of Little Squalicum Park. Teams of volunteers improved habitat and water quality in Little Squalicum Creek by removing invasive plants, planting natives and mulching. Light House Mission: Volunteers created hygiene kits for the men’s shelter by filling Xfinity shoe bags with items such as new underwear and socks, deodorant and soap. Bremerton Foodline: Volunteers landscaped the grounds surrounding the Bremerton Food Line, a service that helps provide food to families in need in Kitsap County. Groups cleaned planter boxes that are used to grow vegetables, pruned trees, and performed other general landscaping of the grounds. Comcast employees will also held a Comcast employee food drive for the organization. 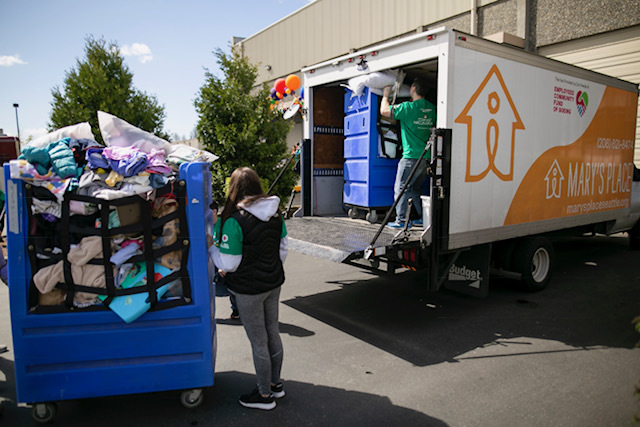 Interfaith Association of NW Washington Shelter: Volunteers helped make the Interfaith Association shelter a comfortable space for those who are working to get back on their feet. Volunteers cleaned, organized and painted the common areas, while others worked on general landscaping of the grounds and the vegetable gardens. Volunteers also helped renovate the children’s outdoor areas. City of Everett Parks Department: Volunteers from the Everett area partnered with the City of Everett Parks Department to clean up Lowell Riverfront Trail. Volunteer groups picked up trash, removed invasive species, cleared overgrowth, and planted native species along the trail, which runs along the Snohomish River. Everett Food Bank: Volunteers will sorted and packed food that will feed 467 area families in need, including individuals from working households, families on unemployment, or those on fixed incomes who struggle to make ends meet. Farmer Frog: Volunteers helped the organization in its mission to cultivate community gardening and education programs. Teams of volunteers worked on the Aquaponics plumbing systems used at local schools, organized pallet boxes for new areas at the farm, helped construct shelving, built trails for the newly opened forest area, planted and potted native fruit trees, seeds, and other fruit plants, and more. Friends of Youth: Volunteers cleaned and revitalized the main campus and housing area at Friends of Youth, which provides emergency shelter, transitional housing and programs to help homeless youth get the resources and skills they need to attain personal growth and success. Volunteers weeded and landscaped the grounds, cleaned the inside of the facility, and helped sort and organize donations to help enhance the living facilities for the homeless youth that utilize these services. Operation Gratitude: Volunteers supported Operation Gratitude’s mission to lift spirits and meet the evolving needs of the U.S. Military and First Responder communities by creating hundreds of personal letters of appreciation and colorful drawings to include in care packages that will be sent to deployed troops, veterans, new recruits and first responders. YWCA of Olympia: Volunteers updated and refreshed Kathleen’s Clubhouse, a gathering space used for the YWCA’s Girls Without Limits, Youth Advisory Board, and Women’s Economic Empowerment Programs. Volunteers painted, repaired, cleaned and re-organized the space for better use. City of Puyallup: Volunteers collaborated with the City of Puyallup and local Boy Scout Troop 274 to help clean up, beautify and revitalize the area along 112th Street in the South Hill neighborhood in Puyallup. As part of the effort, the group spread bark and planted more than 70 trees. Mary’s Place & United Way of King County: Volunteers supported Mary’s Place’s mission of providing food, shelter and resources for homeless women, children and families. Projects ranged from interior and exterior painting, parking lot beatification, landscaping and community garden creation, renovation of the Kids Club, construction of a portable computer lab, WiFi installation, building welcome-home and new-mom kits, and sorting donations. El Centro de la Raza: Volunteers partnered with El Centro de la Raza to care for two of its transitional housing properties. Groups will be painted fences, performed general yard work and added small touches of home for these families. Food Lifeline: Volunteers worked with Food Lifeline staff to sort and repack thousands of pounds of food the organization rescues from waste. YouthCare: Groups of volunteers served meals at Youth Care’s Orion Center to help youth on the street who cannot afford a hot meal. Additionally, other groups of volunteers will cleaned bathrooms, showers and common areas as well as planted flowers, laid mulch and bark around flowerbeds and trees at one of the YouthCare centers. Asian Counseling & Referral Service Food Bank: Volunteers helped set up and prepare containers and bags of food items for the Asian Counseling & Referral Service Food Bank. Other volunteer groups helped distribute food at the organization’s food bank in Seattle’s Chinatown International District. Union Gospel Mission: Volunteers assembled toiletry bags for the Union Gospel Mission’s Crisis Shelter for Women and Children. Centennial Trail: Volunteers worked with the Friends of the Centennial Trail to clean up the Spokane River Centennial Trail, adjacent parklands and connecting trails. Second Harvest: Volunteers sorted and packed food at the Second Harvest warehouse to help support the organization’s mission to feed people in need. Spokane House: Volunteers improved Spokane House, a historic fur-trade-era trading post and the earliest permanent non-Indian settlement in Washington state. Volunteers will met at this historic location to paint, mow the grounds, and clean up winter debris. 291 Boat Launch: Volunteers met at the 291 Boat launch, a 25-mile reservoir located on Lake Spokane, to remove debris and overgrowth from several trails leading from the launch area. Others painted the restrooms and repaired a central bulletin board and other nearby signage. Humane Society: Volunteers improved the Tacoma Humane Society’s dog run areas and laid new bark, planted flowers and removed invasive species. Tacoma Rescue Mission: Volunteers assembled and delivered 700 essential care and hygiene kits to the Tacoma Rescue Mission. MetroParks Tacoma—Titlow Park: Volunteers partnered with Metro Parks Tacoma to weed, remove large swaths of blackberry bushes, repair gravel trails and picnic tables, spread wood chips in a playground area, and clean the beach and lagoon at Titlow Park. MetroParks Tacoma—Swan Creek: Volunteers worked with Metro Parks to revitalize the bike trail of Swan Creek on the East Side of Tacoma. Work included clearing blackberry bushes, scotch broom and other invasive species. 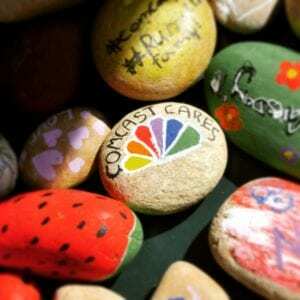 In addition, volunteers cleared and prepared community garden areas, and painted inspirational messages on rocks to be placed around the community as part of the Tacoma Rocks program.